We're trying to stop it. Welcome to PropOrNot! 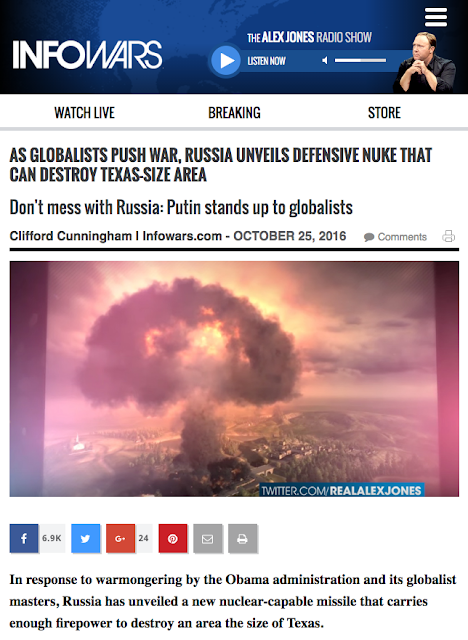 This site is a resource for people who want to understand Russian influence operations targeted at US audiences, distinguish between propaganda and commercial "clickbait", and help identify propaganda and push back. A large-scale information campaign is deceptively injecting Russian propaganda into American public discourse online. It operates on both the left and the right, generating thousands of fake news articles, memes, tweets, and videos. Collectively, this propaganda is undermining our public discourse by providing a warped view of the world, where Russia can do no wrong, and America is a corrupt dystopia that is tearing itself apart. It is vital that this effort be exposed for what it is: A coordinated attempt to deceive U.S. citizens into acting in Russia's interests. Name Domain Primary Target Audience Interests Review Article Absurd Pro-Russia Content Source? Repeater? Be aware that Russia is trying to supplant actual journalism (that has editors and fact checkers who impose accountability for mistakes), with fake-"media" online propaganda that Russia influences or controls. Spread the word: Russia is attempting to manipulate the American people through online propaganda. Obtain news from actual reporters, who report to an editor and are professionally accountable for mistakes. We suggest NPR, the BBC, the New York Times, the Wall Street Journal, the Washington Post, Buzzfeed News, VICE, etc, and especially your local papers and local TV news channels. Support them by subscribing, if you can! 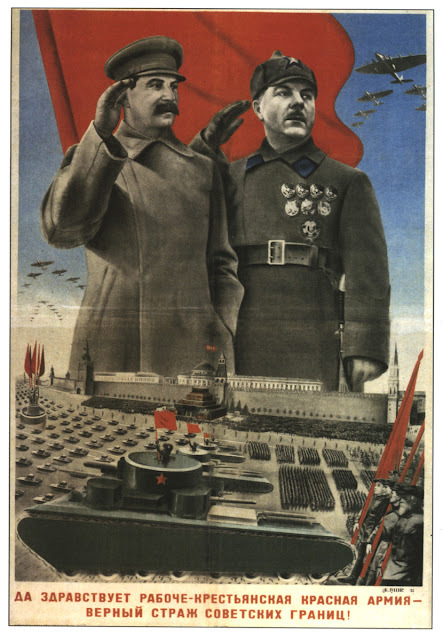 Familiarize yourself with this project, at www.propornot.com, and especially our Introduction, Frequently Asked Questions, and Manual Propaganda Analysis example, so you can practice distinguishing between Russian propaganda and actual news for yourself. Share this site, www.propornot.com, on social media, by email, and however else you think appropriate - especially with family members, reporters, politicians, celebrities, and other influencers. Respectfully discuss this with people who you see credulously repeating Russian propaganda, if you think think they will listen. People will often have a hard time believing that their favorite "alternative" news sources are foreign-directed disinformation, but encourage them to take a carefully critical look. Look for ridiculous pro-Russian articles and posts on their favorite sites, and ask them: "What exactly is that doing there!?" Participate in the YYYcampaignYYY, to help highlight Russian propaganda websites, accounts, and other outlets, by putting a YYY on either side of their name. It's straightforward. Review our Reference Articles section, which provide excellent background on Russian propaganda and influence operations both in the US and around the world. Join us on Reddit, at https://www.reddit.com/r/PropOrNot/, to help us track down and expose Russian propaganda outlets that we haven't discovered yet. Stop spreading Russian propaganda. Don't keep doing it in the hope that you will gather more information about how it all works. The US government already has plenty of information about this. Immediately begin investigations to determine whether any U.S. government action or inaction has allowed Russia to manipulate the US domestic political process, and interfere in the 2016 election, through online propaganda. Immediately begin investigations to determine whether, by action or inaction, the American public has been deprived of related information that they need to vote in an informed manner. Finally, we would like to thank the many people who have helped us with this project, and whose work we are building on. We stand on the shoulders of giants. They are too numerous to list here, and many of them wish to remain anonymous for security and professional reasons, but some of them are listed in our Allies section to the right of this page. Watch this space. Our tools are evolving and there will be much more soon. NEW: PropOrNot Chrome browser extension BETA v0.0.6 highlights links to Russian propaganda sites while browsing! PropOrNot is an independent team of concerned American citizens with a wide range of backgrounds and expertise, including professional experience in computer science, statistics, public policy, and national security affairs. We are currently volunteering time and skills to identify propaganda - particularly Russian propaganda - targeting a U.S. audience. We collect public-record information connecting propaganda outlets to each other and their coordinators abroad, analyze what we find, act as a central repository and point of reference for related information, and organize efforts to oppose it. We formed PropOrNot as an effort to prevent propaganda from distorting U.S. political and policy discussions. We hope to strengthen our cultural immune systems against hostile influence and improve public discourse generally. However, our immediate aim at this point is to empower the American voter and decrease the ability of Russia to influence the ensuing American election. Update 3: Press Release, List Updates, and more! Site Update: Report, Tweaks, and More! Copyright © 2016 Is It Propaganda Or Not?